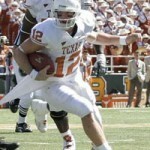 Colt McCoy broke Major Applewhite’s school record for career TDs in a 52-10 win over Rice. Exclusive inside-the-team & recruiting info: More on the ‘Q’, run game issues, Hamilton, much more. IT’s Frisbie, Lucksinger, Blackwell, Pearle and Ross give you their Rice game picks. 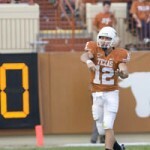 On Saturday, the Longhorns will play against a Rice team they’ve become quite familiar with. IT’s Ross and Ross discuss the Rice game, how it relates to the rest of the season and much more. 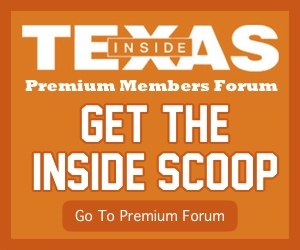 Inside Texas sits down with Longhorn defenders Roddrick Muckelroy and Roy Miller to talk Rice. Thanks to the spread offense, Muschamp’s job is now more difficult than his stint in the NFL. The DeSoto WR has picked up four offers and is hearing from several other programs, including Texas. 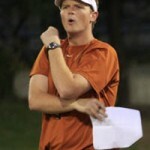 What does first-year Texas RB coach Major Applewhite bring to the program? 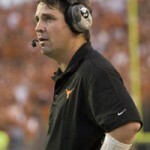 Jeff Conner’s commentary on the mixed feelings he gets from watching SMU wallow in mediocrity.